In 2017, the WordCamp Europe Communication team saw the opportunity to support local WordCamps around Europe. The @WCEurope Twitter account was used to promote local WordCamps and send our customized tweets expressing the needs of local WordCamps. To send out a tweet like the one above required several actions like finding out which are the events of each month, identifying the lead organizer contact details, explaining how WCEU team can help and finally posting the tweet a few weeks before the event. So far, this initiative was well received and the WCEU team plans to continue to show this support as we not only see the value in promoting WordCamps, but also the importance they have on building local European communities. Unlike the form above where we collect info needed for promoting communities (like hashtags, Twitter handles, etc. ), we’ve also prepared a way of them to directly get in touch with the WCEU team. This form can be used by organizers or WordCamp mentors to reach out to us. The idea behind this form is to be used when facing a challenge (i.e. “we need to sell more tickets”, “we need two more silver sponsors” etc.). 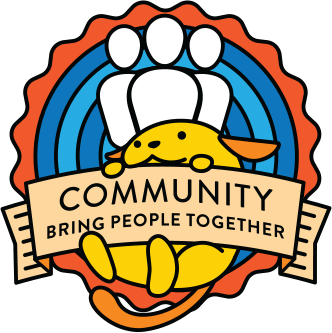 After your feedback, our suggestion is for these two links to go in the community handbooks/WordCamp guides and be included in the emails with the local organizers as well as with the mentors mentoring European WordCamps. And that’s basically it! Hope this collective effort builds up into a database of local WordCamps that we’ll be able to use over the coming years to help strengthen WordPress communities across Europe. Also, this initiative could easily be replicated by other major WordCamps to support their closeby events. We’ve notified @andreamiddleton about this and she mentioned @bph has a similar initiative in mind. Also, anyone who has a suggestion on how we could roll this is welcome to contribute! Thanks to the WordCamp Europe team for wanting to help promote community activities in Europe! Will the team be able to promote local communities year-round, or will availability be limited during certain parts of the year? I’m worried if we put the forms in the handbooks, things might fall apart when the WCEU team gets busy or takes a post-event break. I guess we might be able to just put date windows on the offer, but usually everything on the handbook is permanent-ish? Good catch. We’ve started the WordCamp announcements in October and we plan to keep them going until June, at least. So I’d say that July, August and September are the tricky ones. But we might be able to find a solution until then. I’d say we will cover them all year round. We planned this within our WCEU Communications team and the team starts working on September 1st until the August 31st (two months after WCEU), though after WCEU team focus is (mostly on) social media (Twitter/Facebook). If we add it in the handbook, someone will be available to help from WCEU social media accounts. I think this is a wonderful initiative and I’m glad to hear that local communities feel it’s having a positive impact on their events! As you know, one of my main preoccupations as lead organizer this year is watching over team health, both for this year and looking to future years. Whereas I absolutely think these forms can and should be linked in the WCEU handbook that we’re working on, I do not think they should live anywhere outside of our team. Why? Because next year’s team gets to decide if this is something they want to maintain. We need to account for the possibility that a future team may not want to do it for whatever reason. And because of that, the forms should only live permanently in places where we as a team, whoever the team is that current year, can manage them. The WordCamp handbook is, IMO, a place for more universal, less transient aspects of organizing an event. I don’t think we can in good conscience commit future teams to this particular campaign, no matter how much we believe it in now. They need to be able to choose. The contact forms are a way for local WC organizers to reach out to the WCEU team. They are a resource for local WC organizers, so they need to learn about it from their deputies/in their handbooks maybe. Additionally, we should also have a chapter in the WCEU handbook as well, to keep everyone involved on the same page. Not sure how to move this forward. How is it decided if an activity is part of the WCEU Comms Team’s default responsibilities? Did we reach a consensus on this one? It doesn’t seem like it. 0.2$: completely agree with @jennybeaumont, next year’s team might not have this as part of their plan. In addition, the WordCamp handbook is for the global community, while this is a strictly EU initiative.